He was alongtime co-editor of the Slovene comics magazine Stripburger. From 1998 he is running a monthly animation filmprogram at the Slovenian Cinematheque. He is working as a freelance journalist, animation film programmer and board member for many different film and contemporary arts festivals in Slovenia and abroad. In 2011 and 2012 he servedas a member of committees for the evaluation of short animated film productionfor CICLIC (France), La Poudriere (France – evaluation of student graduation films 2011/12) and Proimagenes (Colombia). He was a jury and program selection member at important international animation and short film festivals (Animafest Zagreb, I Castelli Animati, Stuttgart ITFS, SICAF Seoul, anim’est Bucarest, Balkanima Belgrade, Monstra Lisbona, Festanča Žilina, Animanima Čačak, 25 FPS Zagreb, Anifest Trebon, CICDAF Beijing, Animatou Geneva, Animfest Cyprus, Cinanima Espinho, Mecal Barcelona, Kecskemét AFF, Anima Syros Greece, Primanima Hungary, FICAM Morocco, Anibar Peja, Fantoche Baden, Tabor ISFF, Krakow FF, Anima Mundi Brazil, Docu TIFF Tirana, Belgrade Short Film Festival, New Chitose Airport International Animated Film Festival, Annecy International Animated Film Festival (jury Rene Martin), Turku Animated Film Festival, Ottawa International Animated Film Festival). From 2008 until 2014 he collaborated with the World Festival of Animated Films Animafest Zagreb as programme adviser. He is afounding member of the Association of Slovenian Animation Film. From 2010 he is lecturing on the history and theory of animation film at the University in Nova Gorica. In 2012 the Slovenian Cinematheque published his book The Filmography of Slovene Animated Film 1952-2012. From 2013 until 2016 he was the director of the Festival of Slovenian Film. From 2014 to 2016 he was appointed as commissioner for animation film at the Croatian Audiovisual Centre (HAVC). From February 2017 he was appointed as film curator and head of the program department at the Slovenian Cinematheque. 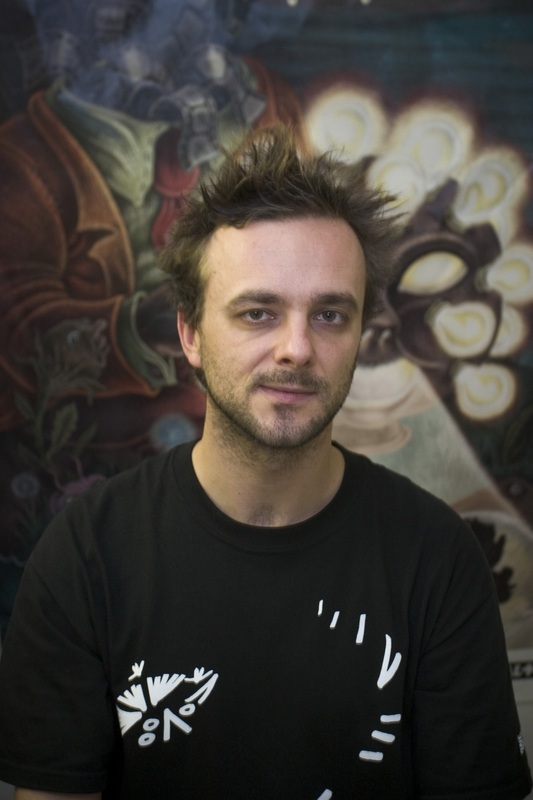 In 2004 he founded the International Animation Film Festival Animateka (www.animateka.si), where he is the artistic director.